Whistonbrook provide competitively priced potentiostats. 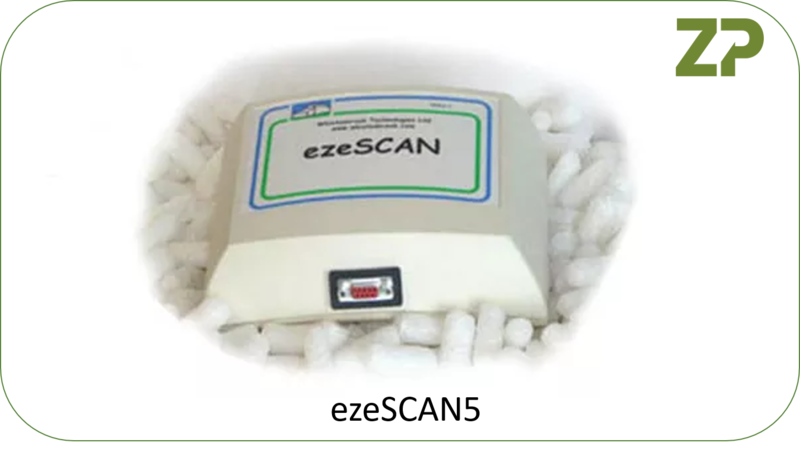 The ezeSCAN5 is specifically designed for University and Analytical Laboratories where more complex potentiostats are usually not required. The easy to use PC based software for setup, graphical display and analysis, whilst simply connecting to your PC via a USB cable. The potentiostat is offered at a competitive price, and comes with 4 user selectable current ranges of 1, 10, 100 and 1000 microamps, which can either be set manually or automatically controlled. 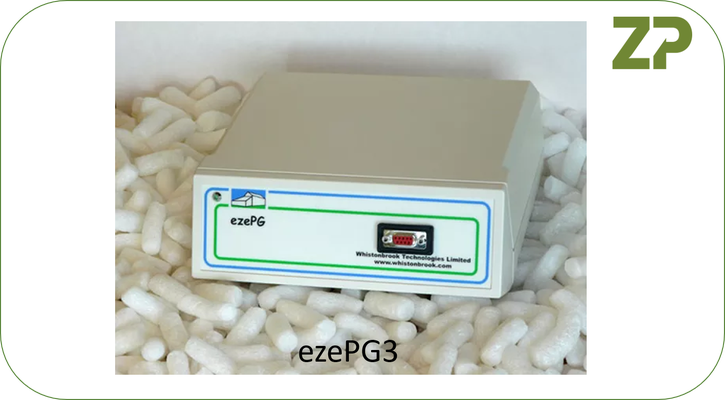 The ezePG3 is specifically designed for University and Analytical Laboratories where more complex potentiostats are usually not required. The potentiostat is offered at a competitive price, and comes with 5 user selectable current ranges of 0.01 0.1 1, 10 and100 milliamps, which can either be set manually or automatically controlled. This quad-potentiostat is a 4-Channel potentiostat with a single factory fitted current range, and is designed specifically for sensor testing in the development and production market. The potentiostat includes 4 independent working electrodes channels, which can be independently controlled, to allow different or the same potential to be applied. 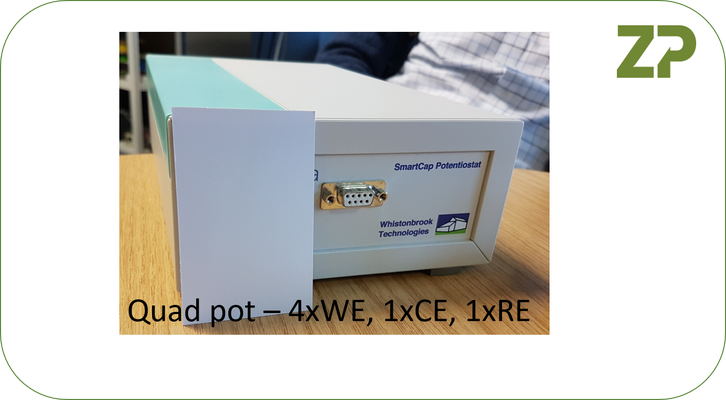 This true quad-potentiostat is a 4-Channel potentiostat with a single factory fitted current range, and is designed specifically for sensor testing in the development and production market. 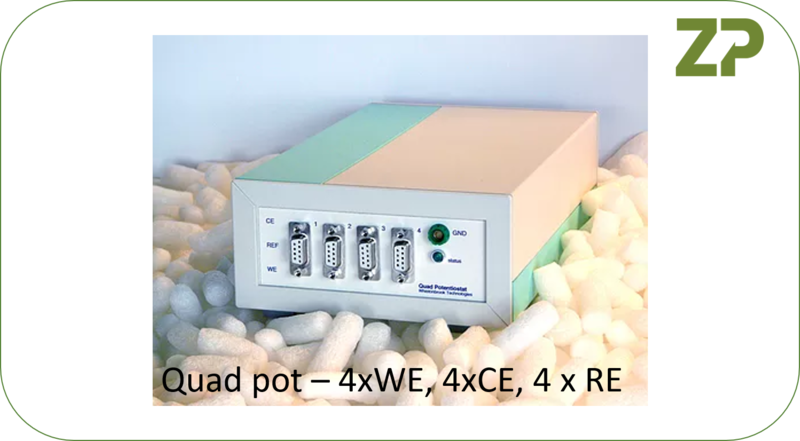 The potentiostat includes 4 independent working electrodes channels, which can be independently controlled, to allow different or the same potential to be applied.